Leonardo DiCaprio is one of the greatest actors alive. Some may place him a small notch below Daniel Day-Lewis and Meryl Streep, but he’s undoubtedly in the upper echelon, above even strong performers like Jamie Foxx and Matthew McConaughey. However, he has been forced to watch Foxx and McConaughey give acceptance speeches on the stage of the Academy Awards while his trophy case remains bare. Until, if you believe the predictions, this year. 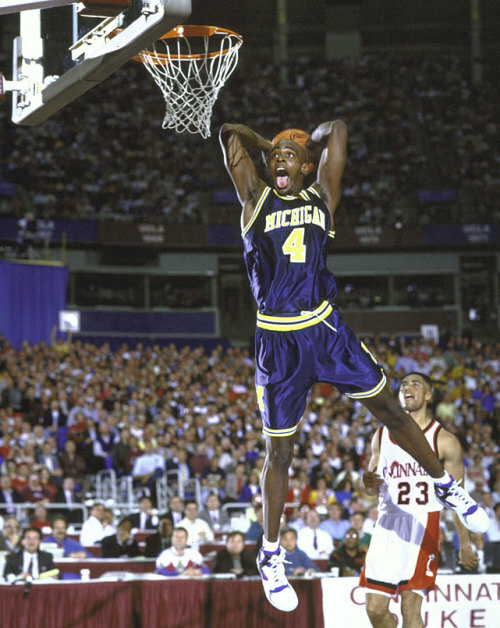 There have been approximately a quadrillion articles devoted to the Fab Five of Michigan – interviews, reviews, praises, critiques, “should haves,” complaints, and memoirs – so I would rather devote my time to a cause I find far more interesting: Chris Webber’s case for inclusion in The Naismith Memorial Basketball Hall of Fame. North America is gripped by a meth epidemic. The quality of the drug has skyrocketed and the cost has dropped, meaning that more and more people are getting their hands on stronger and stronger stuff. That’s a bad combination. This documentary, narrated by Val Kilmer, looks at how the drug has affected so many Americans in so many places, skipping from Wyoming to New Mexico to a city I’ve spent quite a bit of time in, Portland.